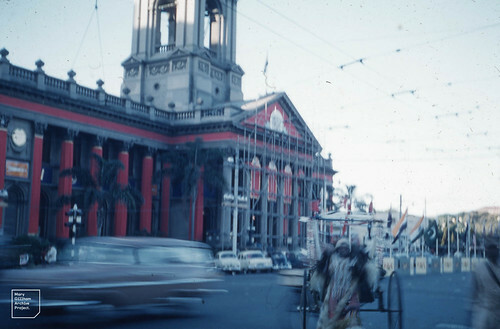 Durban Image: Durban post office at evening devcorated to celebrate fifty tears of union. Natal. Dud. Durban post office at evening devcorated to celebrate fifty tears of union. Natal. Dud.